Several of the most popular and widely use essential oils are on sale today! 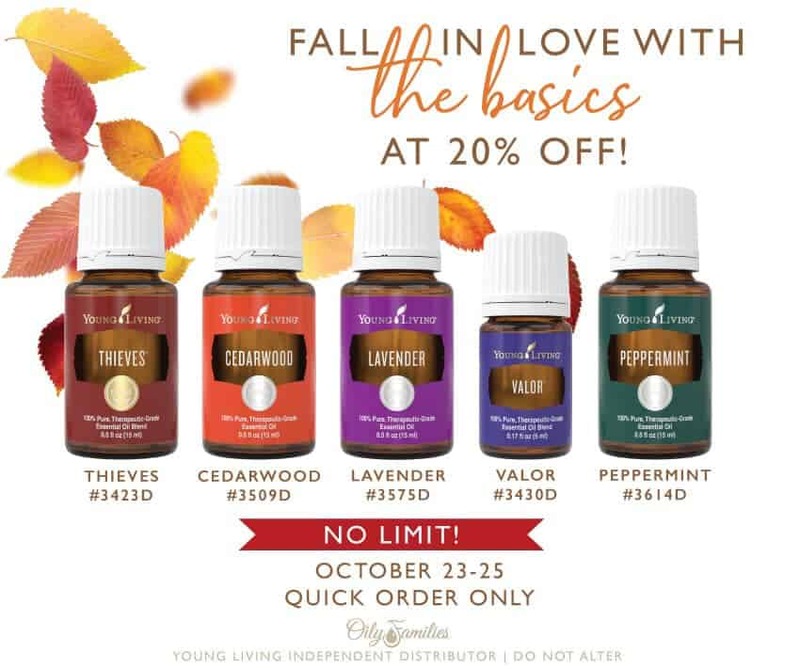 That’s right, you will save 20% off Thieves, Cedarwood, Lavender, Valor and Peppermint now through October 25th only. Below are just a few of the ways that you can use each of the essential oils that are on sale. Please keep in mind that there are SO many ways to use these powerhouse oils, that I cannot possibly list them all here. 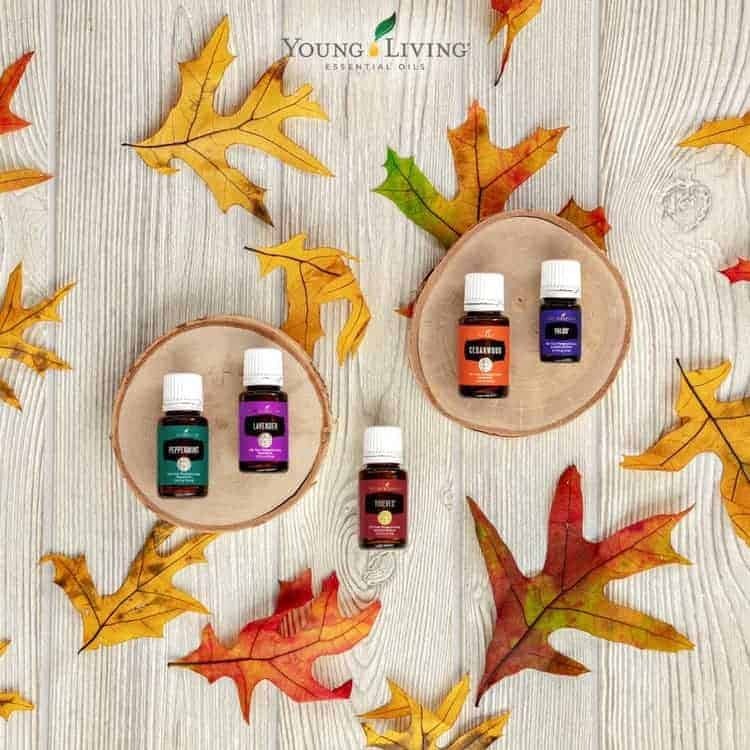 But if you go to Google and put in “the benefits of _______” and search for each of the oils you are interested in, you’ll see so many more reasons why they are awesome ones to have on hand during the winter season and beyond. “The Swiss Army Knife” of the EO world… meaning SO many uses, if you have this one on hand there’s little you can’t do! This crop is highly adulterated, as there’s 3x as much sold as what’s grown… all the more reason to be oh so thankful for our farms, our partner farms & our Seed to Seal promise! We literally have a bottle of this in every room in our home. Including our laundry room! Perfect for adding to your WOOL dryer balls!. All women need this for their adrenals!!! Kids need to chill? Lavender! Bedtime diffuser oil needed? Lavender! Body not adapting well to the change in seasons? Lavender! Many love swiping some of this under their nostrils & dropping some in a face mask before going to work on the yard. It’s powerful! Calms, relaxes, balances & emotionally helps to deal with anger & frustration. Animal lovers definitely have this one on hand too. Ok this oil is by far a huge value here because it’s a blend!!! Immune system power house! Thieves ALL the things! want to know the trick to my family’s wellness over the winter months and heck any month? Thieves, people. Thieves. Diffuse daily. Put on bottoms of the feet! You can even make some Thieves tea with honey and lemon!! It’s great for oral health as well! I love to diffuse it with orange around the holidays! Young Living even has an entire cleaning line all things Thieves! Because nothing gross and nasty can grow or live near Thieves!!! There is nothing like the fresh, aroma of peppermint to literally add that pep to your step! It is also a vitality oil so it supports the digestive system. A drop to the roof of your mouth will not only freshen up that breath but will curb some of those cravings! This oil is a driver, so if you want other oils to go deeper, layer this one on top. This one packs a punch, it’ll cool you down, energize you, and open you up! So invigorating! Anyone like to love on their brain health? Well I hope you’re using your Cedarwood then! High in Sesquiterpenes this oil makes your brain happy. Known as poor man’s Frankincense, it is calming, grounding, and wonderful for sleep. It supports the body’s production of melatonin so often people use this to sleep like a log! A favorite diffuser combo for sleep is Lavender and Cedarwood. And you can grab both for sale during this promo. I am not sure I have ever seen Valor on sale friends. It is a gorgeous blend that includes some pretty amazing single oils and it a member favorite for many reason! Valor is a BRAVE oil. Put it on frequently. Inhale Valor and apply it between both wrists, holding your wrists together, until you feel the body “shift” as in, more relaxed, calmer and more focused. This blend was formulated to help our bodies balance and promote feelings of confidence and courage. If you have any questions at all, please feel free to reach out to me and I will do my best to answer them all. You can find all of these oils here. Great deal! So sad I just missed it!